Alexander Rose Portofino Swing Seat with Cushion: The Alexander Rose Portofino Swing Seat is a contemporary and stylish garden swing seat perfect for relaxing in the summer months. The Portofino Swing Seat comes in a metallic grey colour which will easily blend into any setting and will seat two people. The Alexander Rose Swing Seat is made from fine powder coated, tubular steel frame and treated wire mesh to prevent corrosion. 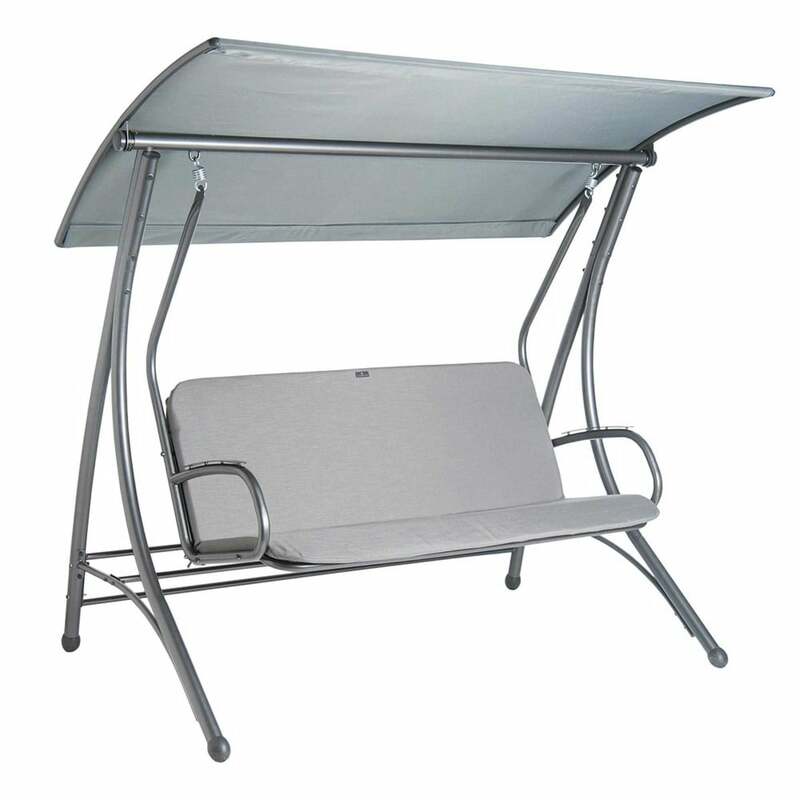 The Portofino Swing Seat features a removable fabric canopy to shelter you from the weather and includes foamed fill seat and back cushions for added comfort.